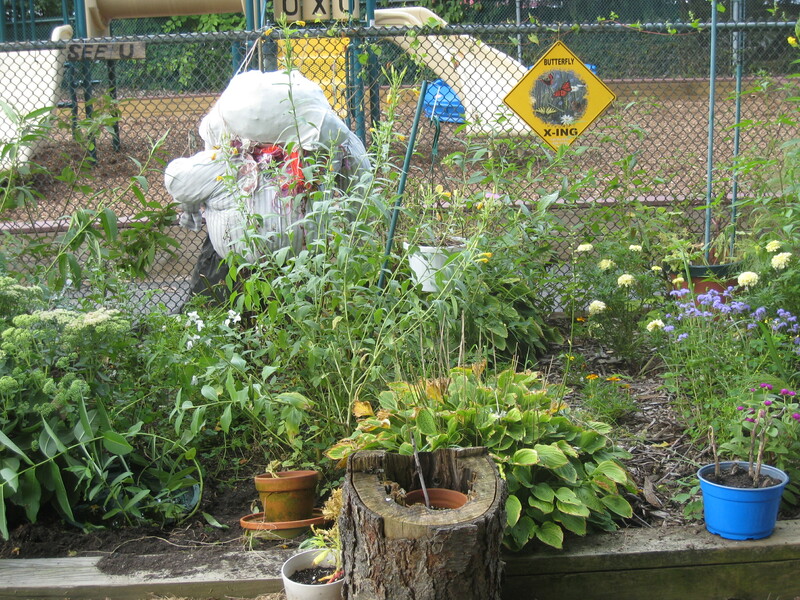 Our butterfly garden is a habitat. A habitat provides food, water, shelter and a place to raise young. 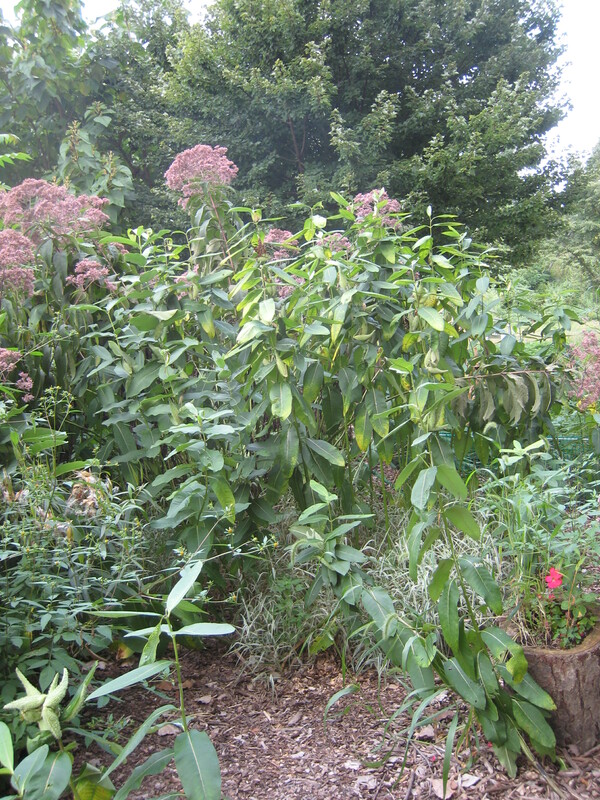 Adult Monarch butterflies sip nectar from flowers but need Milkweed plants for their young. 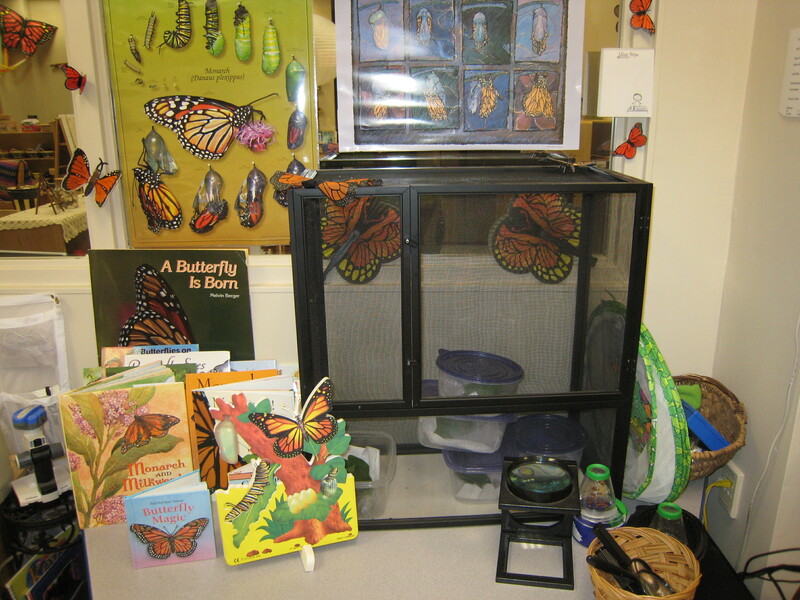 Female Monarchs will only lay eggs on milkweed plants. 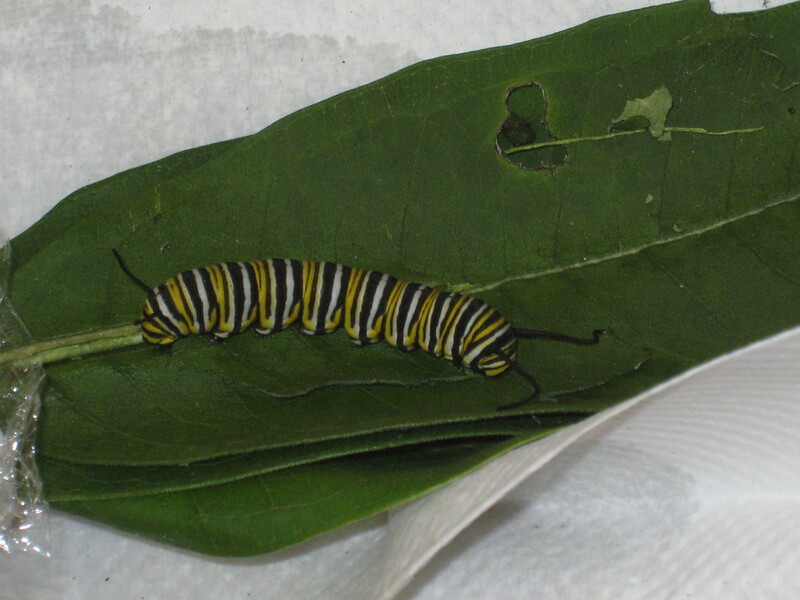 The Monarch caterpillars eat the milkweed leaves. The white milky latex inside the leaves gives them protection from predators. 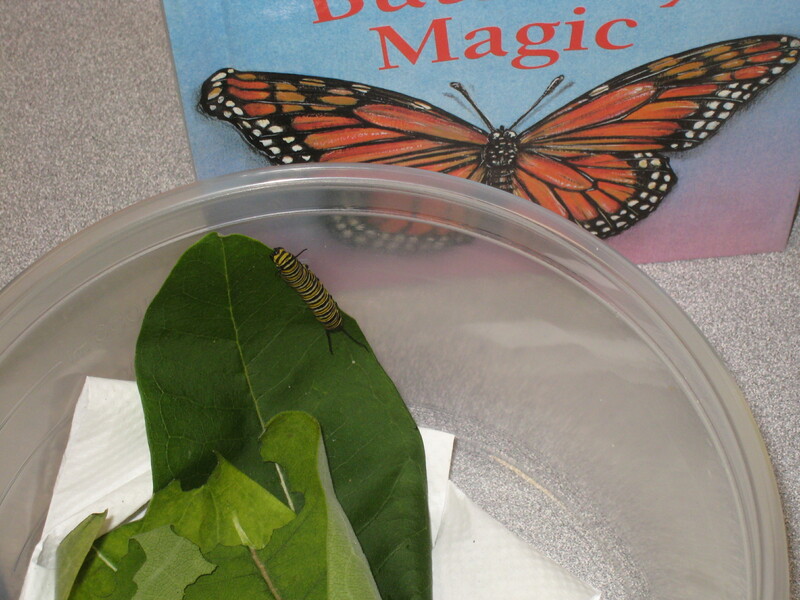 The children collect Monarch eggs from the garden by removing the leaf that the egg is on. The egg will hatch in 3-5 days. 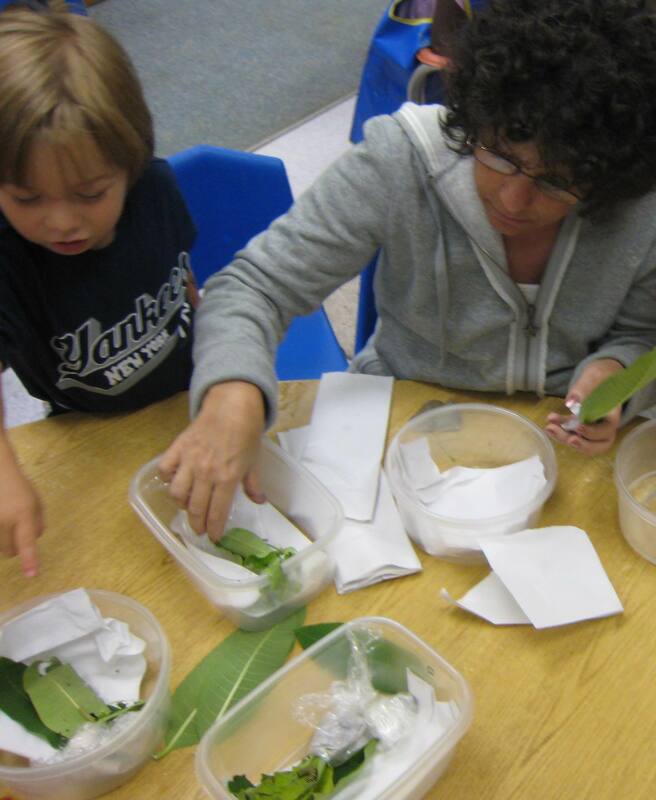 The children create a little vase for the leaves with a wet paper towel and Saran wrap.The leaf is then placed on a clean,dry paper towel.The caterpillars are reared in Gladware with holes punched in the lids. 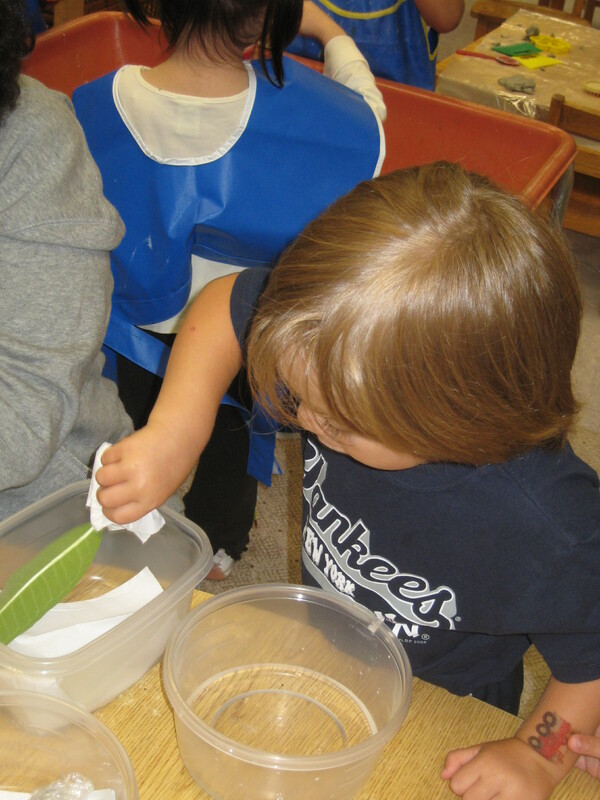 The caterpillars will eat ,grow and shed their skin five times before pupating. ( These stages are called "instars". 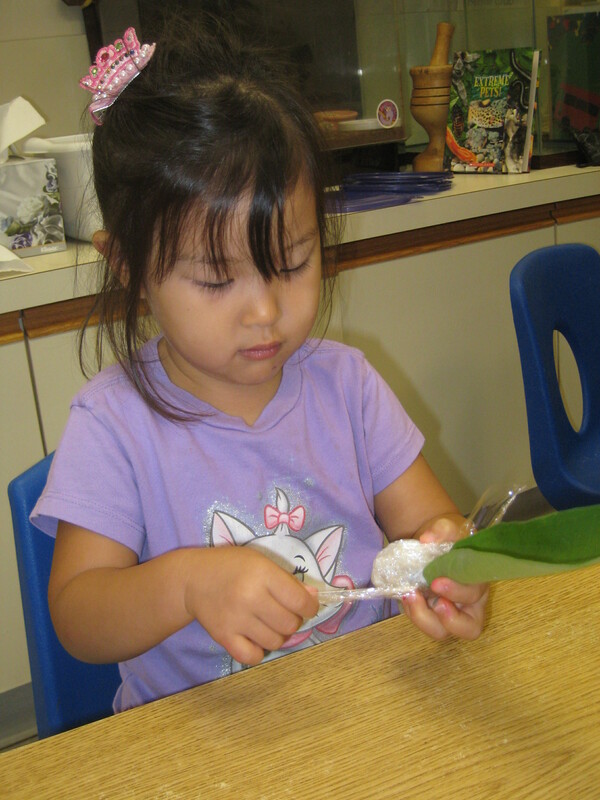 )The children collect fresh leaves for them each day . When the caterpillar finds the fresh leaf they throw the old leaf out. 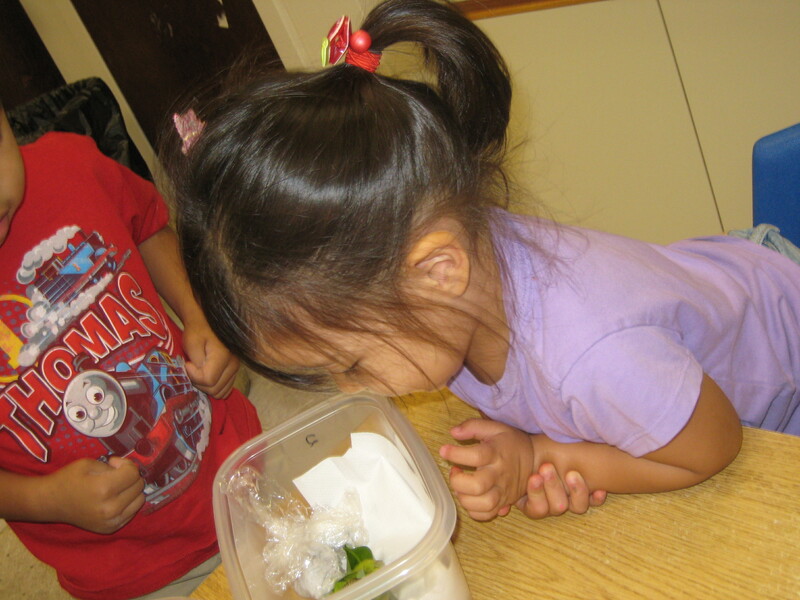 The old paper towels and frass (caterpillar poop) is disposed of and fresh leaves are placed in the container. 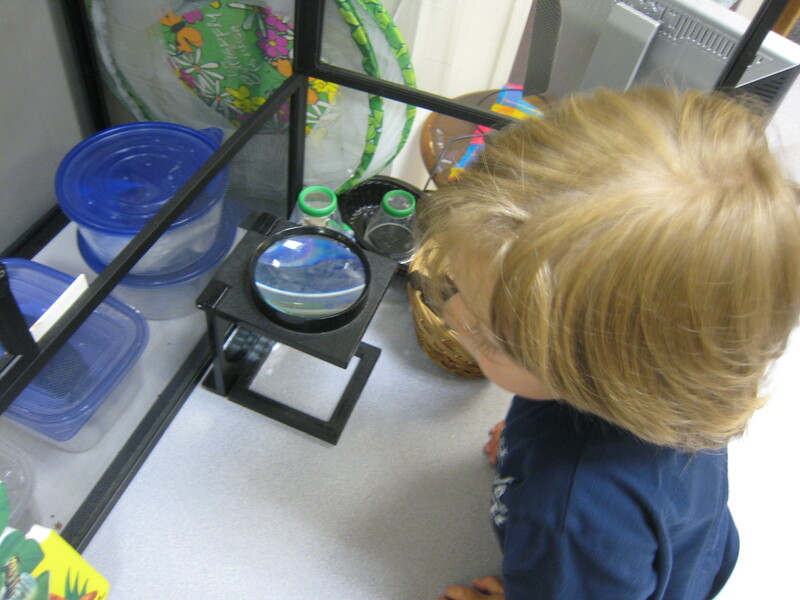 When the caterpillar is the size of a crayon the children take the lid off of the Gladware and place it in the open air screened enclosure. This is where the caterpillars will hang in a "J" shape to pupate ( shed their skin for the last time to reveal the jade green chrysalis.) and turn into butterflies.